Filmmaker Aanand L Rai on producing films of fellow directors and making a difference through cinema. Even though his production house, Colour Yellow, is behind light-hearted movies such as Happy Bhag Jayegi and Shubh Mangal Savdhan, the last two films — Newton and Mukkabaaz — cast spotlight on the state of Indian democracy. 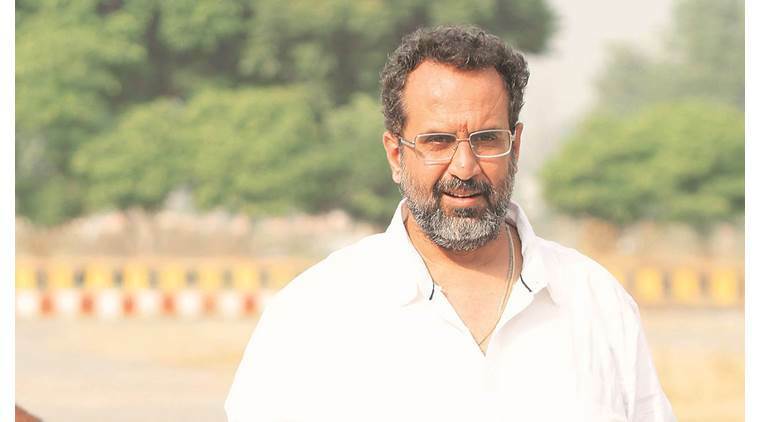 One of the first things Aanand L Rai clarifies is that he is not “a typical film producer”. Yet, the director-producer steps in to support the ideas he loves. Cases in point: Amit Masurkar-directed Newton, India’s official entry for the Academy Award for the Best Foreign Language Film, and the upcoming January release Mukkabaaz, directed by Anurag Kashyap. “As a director, one has to give what Amit did to Newton. Similarly, the kind of vibrancy and aggression Anurag has brought in as a director to Mukkabaaz, I could not have. As a producer, I get a chance to be part of the movies I love,” he says. If he is concerned that he might face a problem getting clearance from the Central Board for Film Certification (CBFC) for Mukkabaaz — that touches upon caste-based bias in Indian sports and cow vigilantism — he does not show it. “This movie is not a statement. It’s a perspective. The intention behind the film is clean and it is not meant to be a propaganda. The story is a reflection of society. Nothing in the film is going to hurt anyone. I’m going to say this: watch the film and then react. At the same time, respect the board (CBFC),” says Rai, known for directing popular movies such a Tanu Weds Manu and Raanjhanaa. Scheduled to release on January 12, the promotions for Mukkabaaz began last week with the launch of Paintra, a single by Divine and Nucleya. ‘There is a bigger threat to freedom. It is like you are trying to write something, but your thoughts are getting edited,’ says Aanand L Rai. 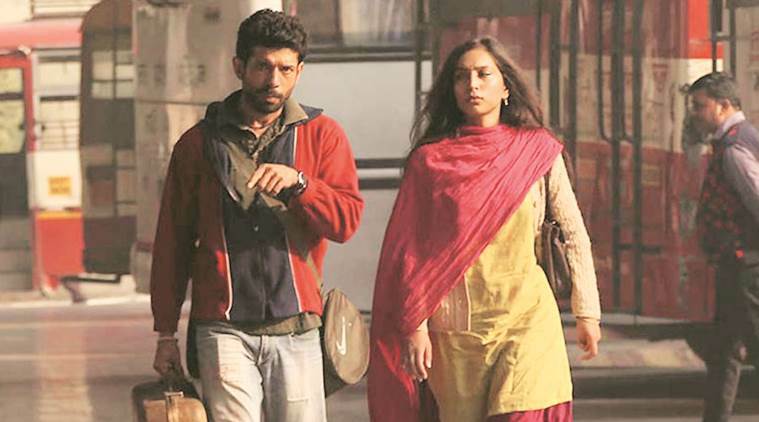 The filmmaker is confident that nothing in Mukkabaaz would offend “sensible people” even as it tries to expose “a few people who are wearing certain masks”. In fact, Rai feels that controversies over movies, such as Padmavati, are not about the film. “You have to see what is hiding behind such controversies. Such episodes are more like an opportunity that someone is using. It is much more than a film getting affected. There is a bigger threat to freedom. It is like you are trying to write something, but your thoughts are getting edited,” says Rai. Even though his production house, Colour Yellow, is behind light-hearted movies such as Happy Bhag Jayegi and Shubh Mangal Savdhan, the last two films — Newton and Mukkabaaz — cast spotlight on the state of Indian democracy. “I am happy to be associated with films that have a certain effect on society and the audience. Newton reached a wide audience and did profitable business. I’m proud of Mukkabaaz. I won’t call it a game changer but it is very progressive,” says Rai, who turned producer with Ashwini Iyer Tiwari-directed Nil Battey Sannata (2016). Previously, the Delhi-born computer engineer had assisted his brother, Ravi Rai, in making television shows such as Gardish. In 2007, he debuted as a feature film director with Strangers, followed by Thoda Life Thoda Magic. As producer, he is aware of a director’s requirements. “The challenges I encountered as a director, I don’t want others to face. As a director, I always wanted to be away from concerns like what’s the budget and how will we sell the film. So, once the story is locked, I step aside and I take care of all those concerns while the director focuses on the filming. I get involved again after the principal shoot is done,” says he. After Mukkabaaz, Rai and Kashyap will team up again for Manmarziyan, which th e latter is directing. Meanwhile, Rai is also shooting his next directorial project, an untitled film with Shah Rukh Khan. “I don’t know how do I find time to handle production and directorial responsibilities. But a group of happy and like-minded people coming together for a project makes it easier,” he says. The film, which features Khan as a dwarf, is slated for release next year, on December 21. Though Rai describes it as “an emotionally tough film”, working with Khan for the first time has been “lots of fun”.